It has been a little while since we first met Lara's doll, Rosie. Lara is a little doll tester for Petalina and Rosie, a Choquettes toddler doll by Corolle, came to live with us shortly before Christmas. From day one, Lara wanted to mother Rosie! She scrounged bottles and nappies from me so that she could look after her baby girl! Lara was recently sent the Corolle Les Classique Baby Accessories Set so that she could look after Rosie until her heart's content. The Corolle baby accessories set comes in a handy carry bag (a changing bag perhaps?) with a fleece blanket, dummy, milk bottle, spoon, bowl, bib, toothbrush and toothpaste, baby lotion and two disposible nappies all designed for use with dolls. The set is specifically designed for Corolle's baby dolls but most of the items work well with any doll of any size (only the dummy wasn't suitable for Rosie but then she is supposed to be a toddler so shouldn't really need a soother at her age!!!). Lara's imagination has really run wild since she got her accessories set. I don't think she had considered feeding her toys before but since she got a bib, bowl and spoon for Rosie, all of her toys now eat meals regularly. Mainly picnics though. The set has also brought a renewed interest in her doll's pram which she received when she was about 18 months old and had barely used since. Rosie quite often gets tucked up in her fleecy blanker in the pram with the changing bag tucked underneath the buggy... just like I do! It is amazing how such a small set of accessories makes such a big difference in terms of role play for Lara and so I've been browsing the large range of other doll's accessories on the Petalina website for further inspiration. The toothbrush alone has proved a hit. If you've watched our Toothbrushing Tips video then you will know that one of the things we recently tried to get Lara to brush her teeth was to encourage her to teach her own toys how to brush their teeth and this little toy toothbrush and toothpaste is perfect for that. Now the only problem we have is that Holly thinks that some of Rosie's belongings are hers! This Christmas Holly was given a My Pal Violet interactive toy from Leapfrog. We had owned Violet a few weeks before I first connected the toy to my computer and personalised it with her name, her favourite colour (pink), her favourite food (brussel sprouts) and a few children's songs of her choice. Once Violet knew Holly's name, the very first time Holly heard her new toy say "Holly", my baby girl's eyes light up and an enormous beaming smile took over her face. That moment of recognition was priceless for me and I think I will remember it forever. Holly knew that her My Pal Violet was hers and was talking TO her! My Pal Violet and My Pal Scout are interactive toys from Leapfrog. It is suitable from about 6 months old until around 3 years old. Violet has a large number of phrases and interactions that are triggered by pressing her paws. One paw plays games such as "I'm thinking of something orange... can you guess what it is? ", one paw plays fun music and another plays 2, 5 or 10 minutes of soothing bedtime music. Violet has a collar that lights up with different colours which seems to fascinate Holly. At Holly's current age (9 months), she most enjoys just listening to My Pal Violet's voice and tunes and waving her wildly around the room. As Holly grows older I expect her to enjoy the counting and colours games and for us to occasionally go online to try and change the music. My Pal Violet is the same good quality that I would expect from any Leapfrog toy. I've found the battery life good (we haven't had to change them yet) and I'm happy that Violet's voice is British. I also like the fact that Violet is a recognisable character now for Holly and that she sees comfort in a little friend who she recognises from a number of her other Leapfrog toys. 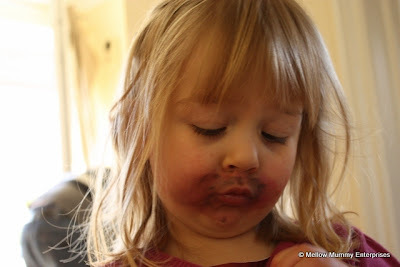 Holly and I have been trying out a few of the mother and baby essentials from Aldi. On Thursday 28th of February, Aldi are hosting a special mother and baby event with a good range of Special Buys including big brands such as Avent and Tommee Tippee at very attractive prices. The Tommee Tippee First Cup has become a classic. We had never tried one before but Holly uses one at nursery so I knew she would get on with it. It seems to be the perfect size for her little hands and she is, like most other babies I've met, very comfortable drinking from the hard spout. It isn't leak-proof so does tend to dribble a bit when Holly throws it around a bit but when I fold the spout down it is reasonably sound and I'd be happy carrying it in my changing bag. At just 99p in Aldi as a Special Buy, the Tommee Tippee First Cup is a total bargain. The Grip-Tight Flexi Folding Bib is a simple pelican bib that is flexible enough that you can roll it up and put it into your changing bag. The bib has a press-through mechanism to hold it in place and we found it relatively easy to use. If the bib has been stored in a rolled or folded position then it is quite hard to get the crumb-catcher area to stand out enough from the bib to actually catch crumbs. As a basic for use when out and about I think it is still good value for money at £1.89 as an Aldi Special Buy. The last item we tried from Aldi was a real revelation to me, a simple cotton children's pillow for use in a cotbed or junior bed. The quality was brilliant and at just £3.99 that really surprised me. I recently bought an adult's pillow for Lara's bed for the same price and it was very disappointing but this pillow by John Cotton was a lot better quality. It is firm without being lumpy and a mix of cotton and polyester for breathability. It fits into our junior pillow cases. Look out for the Aldi mum and baby Special Buys in store from the 28th of February while stocks last. Tommee Tippee’s easy hold bottles come with soft-flow shaped teats and are designed to feel natural for your baby. Bottles hold 260ml and feature a super sensitive anti-colic valve, making them safe, easy to use and an extremely effective preventative against colic. This Avent Newborn Starter Set will see you through the early weeks and months of parenthood. The set contains two 4oz bottles for newborns, two 9oz bottles for growing babies, a teat brush for maximum hygiene and a newborn soother. Keep your eye on your little treasures from anywhere in the house with this Digital Twin Video Baby Monitor. Unlike analogue baby monitors, which tend to have poor signal and occasionally lose sound or picture, this Motorola Digital Baby Monitor has a secure signal and high quality sound and images, so you can ensure your little ones are safe and sound. Keep your baby safe and sound and out of harm’s way with this Lindam Baby Safety Gate. You can rely on Aldi’s Mamia brand to keep your baby safe and comfortable at every meal and snack time. This safety tested and approved high chair folds flat, making it ideal for storage, it includes a tray and comfy footrest and is suitable for babies ages six months and over. A Tommee Tippee favourite, this sipper is perfect for thirsty babies and toddlers learning the art of independent drinking, as it is leak-proof. What’s more the cup is recommended by health professionals. Handy for feeding whilst out and about, this bib wipes clean, catches both crumbs and spills and rolls up neatly to take home and use again. Available in pink, orange, green or blue. Making the transition from bottle to cup couldn’t be easier with the flip-up lid on Tommee Tippee First Cup. Suitable for little ones aged four months plus, the cup also has the added feature of a juice dilution indicator, so parents know how much juice and water to add for their baby. This weekend the Mellow family are off on adventure to The Baby Show together. 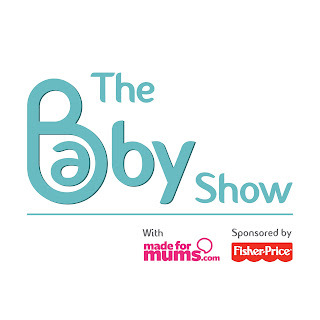 The Baby Show takes place at London's ExCel from the 22nd until the 24th February and we are going to be taking the girls to try out a buggy or two! I feel like we have come full circle. The last time that I went to the baby show was almost exactly 4 years ago. Mr. B and I nervously took the train, tube and DLR to ExCel and were overwhelmed by the size and range of the brands on show that day. I remember stocking up on baby wipes, breast pads and a nursing pillow as well as taking a look at pushchairs, prams, baby cribs and buggies up close. Now we are the proud parents of two girls and I'm hoping to go back and pick up a few bargains (many of the exhibitors offer special in-show deals). One of the things I'm particularly looking forward to is seeing some of the smaller names in mother and baby goods; until I became a blogger I didn't know that there was such a wide range of baby products on sale and I think I probably didn't offer them as much of my time at The Baby Show as I should have. I'm on the lookout for a few gems this time! 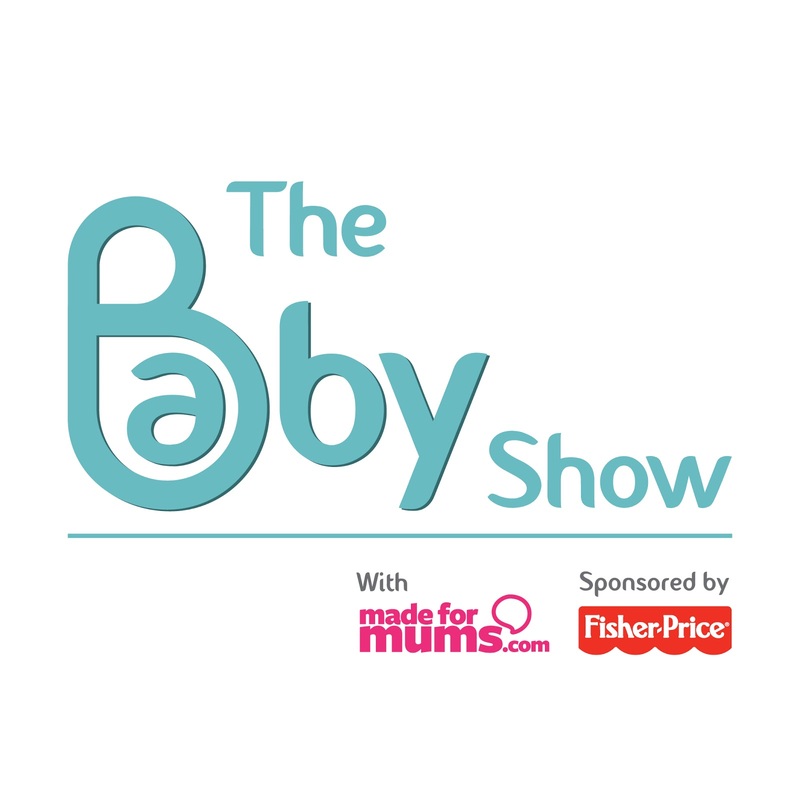 Drop me a comment to let me know if you're going to be at The Baby Show in London this weekend too. She has been threatening to do so for some time but this weekend at the ripe old age of 9 and a half months, Holly took her first real steps. Holly has been mobile for about 4 months and over the past month she has desperately wanted to get walking. Last week saw her learn to stand up from the floor unaided and to just stand there...waiting. She waited until Thursday when she first started taking a single step or two tiny steps and then would collapse on her bottom. On Saturday she showed off her new skill to her grandparents and that afternoon when we got home she had obviously had another boost in confidence because two times that evening she attempted four or five steps across the living room before collapsing. I'm pretty certain that Holly will be walking more and more with each day that passes. She delights in trotting across the living room holding her big sister's hands. Yesterday evening I loved watching her holding on to Daddy with just one hand and walking through the house - she looked SO grown up. That's all. I just wanted to record it here on Mellow Mummy so that I can look back in awe at my little superstar. Polarn O. Pyret are a scandanavian children's clothes website whose clothes we have tried before - they really have been some of my favourite clothes for my girls this winter and so I was excited when they sent Lara and Holly an item each from their new spring and summer range. Holly was sent a gorgeous long-sleeved top which is like a mini rugby top for babies! It is made from a really soft and stretchy cotton in a tunic style so it hangs nice and low over her squidgy bottom. As with all the Polarn O. Pyret clothes we have tried, the little details make it something very special; all the hems are over-sewn and bound so that they don't rub and the collar is made from a soft jersey so that it sits flat and doesn't flap up around her chin. Because the fabric is quite thin and stretchy it will be perfect all summer. This is currently one of my favourite items of clothing in Holly's wardrobe and because it can be washed at 60 degrees, I know that I can get most stains out of it. Lara's knee-length dress is also a winner for both me and her. It is available in baby sizes and girls sizes in a couple of different colours (there are also other co-ordinating items on the Polarn O. Pyret website too). Lara'as dress is a cotton and elastane mix which means it stretches well and hangs beautifully. To me this is an every day outfit which suits Lara down to a T. From experience I would say that Polarn O. Pyret's kids clothes come up on the large size... I had been worried at an age 3-4 dress might be a bit small on her as she is still very tall for her age but in fact this dress was slightly large for her and I expect it to last her through the summer. Lara's dress costs £19.50 and Holly's top costs £16.50. I fully expect these to be their most frequently worn items of clothing over the coming months. Regular readers will have gathered by now that I tend to shop online - me and crowds don't mix and, now I am back at work, weekends are for far more exciting things than traipsing through shops. The rise of Click and Collect is a godsend for me and Matalan Click & Collect is the latest of these services that I've tried out. Now that I am working full-time again I am finding it increasingly difficult to co-ordinate deliveries. Being out of the house all day means that I am rarely in for parcels and arranging for parcels to be delivered to the office is not always appropriate. For me, the ability to order online but pick my parcel up locally is the perfect middle ground. The Matalan Click & Collect service isn't instant (ie I can't order online and then drive straight over to the store to pick it up) but I did manage to pick my goods up within 3 days of placing my order. This was much quicker than if I had arranged for delivery to my house because I would have had to wait until the weekend in order to drive to the nearest parcel collection office. As it was, I was able to quickly nip over to Reading on my one afternoon off work, spend 5 minutes picking up my parcel and then get on with my day. One of the best things about being able to order online is that you have access to the complete range of Matalan clothing and home products and you don't have to worry about whether or not your local store has everything in stock. You order your items from the main online catalogue and can see instantly if they are in stock, then these are delivered to your local store and you receive a text and an email when they are ready for collection. The pick-up process was very easy. There was a member of staff at the tills with a big red t-shirt on dedicated to click & collect. I went armed with a copy of my email order confirmation and the card I had used to pay. I was in and out in a matter of minutes. I took the opportunity to stock up on a few baby essentials such as dribble bibs, vests and sleepsuits as I know these are something Matalan do well at a low price. 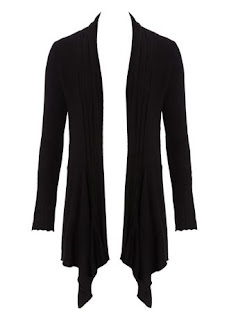 I also splashed out on a cardigan for me to wear for work - it feels good to spoil myself every once in a while. Disclosure: Matalan sent me a contribution towards my order for me to try out their new service. In the past few months Lara has become a LOT better at brushing her teeth. I think the 2 minute timer has been the most effective of these tips because it really highlighted to her how long she needs to spend in order to get her teeth really clean. Holly has just started brushing her teeth (OK, we've started brushing for her) so I guess we have all this fun to look forward to all over again. This weekend we had a girls day; just me, Holly and Lara chilling out at home together. Having been back at work full time for three weeks now, it felt good to be spending some quality time with just me and my baby girls. Weirdly enough though, I felt a bit like the odd one out because there was so much sibling love going on. Holly and Lara are really starting to bond now and beginning to play together. Now that Holly is 9 months old she is very very nearly walking and can follow her sister around the house, sometimes holding her hand. Lara loves the attention and I can now trust her to sit down and play with her little sister. This weekend there was lots of singing and dancing and Holly thought her big sister was A-MAZE-ING. Holly only has eyes for her big sister right now. As a celebration of all this sibling love, I thought I'd dress the girls in their new matching valentine's day outfits from Mothercare. Mothercare sent them both a dress from the Baby K range of clothing for babies and children. They look more than a little bit gorgeous! This week on Valentines day our nursery are having a charity dress-up day when the children are invited to wear red or pink outfits and I think these two gorgeous outfits are just the ticket! 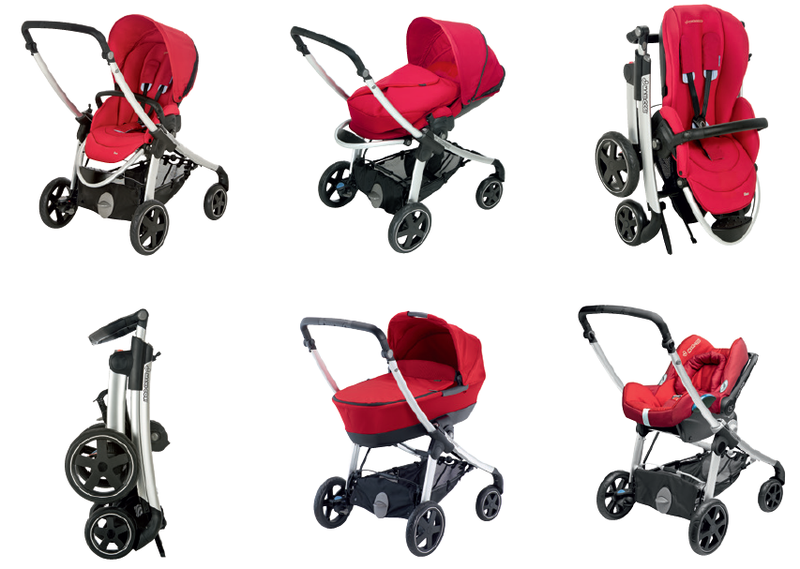 the Baby K range are inspired by Myleene Klass and are available from newborn through to 5 years old. Lara's statement dress costs £25-£27 and has a heart-shaped cut-out at the back and bows on each shoulder. I think the thin red belt makes her outfit look very Parisian! Holly's co-ordinating outfit features a soft cotton puffed dress with red flowers embroidered on the front. It comes with a pair of black leggings with red trim and the whole outfit costs £14. I think the two of them look like partners in crime! Mothercare spared a thought for me too - this fun long sleeved t-shirt (a bargain at £2.50) made my weekend. Meet Mia. Lara's new rag doll. Mia spent much of this weekend having picnics in Lara's room with Rosie the doll, Babs and Bob the bears and Tiger. Rosie instantly appealed to Lara and I'm sure it is due to her simplicity. She is a simple, traditional Fair Trade Rag Doll from Llama Fair Trade. The dolls and their clothes are handmade in Sri Lanka under fair trade conditions with working benefits that you or I would recognise as standard but which, in the developing world, are still hard for employees to obtain. Llama fair trade don't just sell dolls, they have a wide variety of fair trade products from across the globe such as cosmetics, stationery, musical instruments, bags and home wares. Mia the doll came with a handmade outfit but Llama fair trade also sell a set of additional outfits for the large dolls to wear. The set comprised around 4 complete extra outfits including coats, dresses, skirts and tops and there are several different sets to choose from, including some for male dolls. The outfits came on a tiny little coat hanger which Lara has hung next to her fancy dress costumes on her own hanging rail. Lara loves taking the clothes off and putting new ones on. 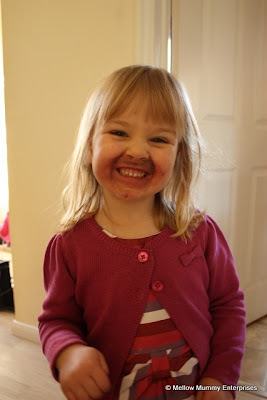 I am pretty sure she has inherited this trait from her Auntie... I remember her doing much the same when we were little. Mia herself has a nice firm face with big rosy cheeks and soft, pliable limbs that makes it easy to get them in and out of the outfits. She needs a little help to sit upright at the picnic mat among Lara's other friends. The arms are sewn on and I would say that Lara is perhaps a touch too young to understand how careful she may need to be when putting the clothes on in order to protect the doll, it feels a little delicate in this area. I love the simplicity and the credentials of this rag doll. I also already own a soft cuddly bear made by the same employer (imajo) in sri lanka and he is Holly's favourite. I'm really happy with the quality of both. Mia costs £14 and the spare set of clothes cost £8.25 from Llama Fair Trade. Lara LOVES dressing up. So much so that I recently bought her a hanging rail for all her different outfits. She likes to wear them in and out of the house and ALWAYS to people's parties! At Christmas Lara watched Brave for the first time and she was so excited when the Disney Store sent her a Princess Merida turquoise costume dress to indulge her! In my experience, lots of fancy dress costumes for kids are made from cheap materials and poorly made - really only designed for a single use. This Disney Store princess Merida dress is really quite different... OK, so the fabrics are still thin but they are well-sewn and have no threads dangling from them. The dress is well tailored and in fact it also has a hooped skirt to make it sit nicely (in a very princessly manner) when it is worn. There are gold patterns printed around the trim as well as plastic jewels along the front of the dress. I think that at £30 it is considerably better value than any other fancy dress item I've bought for Lara before, even though it is probably the most expensive. The dress came on a disney-branded padded coat hanger which made it feel especially luxurious to us. Lara was a little disappointed that the dress didn't come with a crown or any accessories although these can be bought from the Disney Store website. I personally think that Lara needs to finish off the outfit with a bright orange head of curls just like the princess in Brave... and guess what, the Disney Store even sell one of those! Lara's dress isn't personalised but if you buy online you can pay a small amount extra to have your dress personalised with a sash that has your child's name printed on it. It think that's a great touch that would make a fab birthday present. Madagascar was one of the very first movies that Lara ever sat and properly watched. She has become a massive fan of Marty, Alex, Gloria and Melman and, this Christmas she must have watched the first two movies a dozen times and we couldn't wait for Madagascar 3: Europe's Most Wanted to be released on DVD and Blu-Ray so that Lara could watch it. This coming Monday (the 11th of February) the wait will be over but Lara was lucky enough to get a sneak peek. 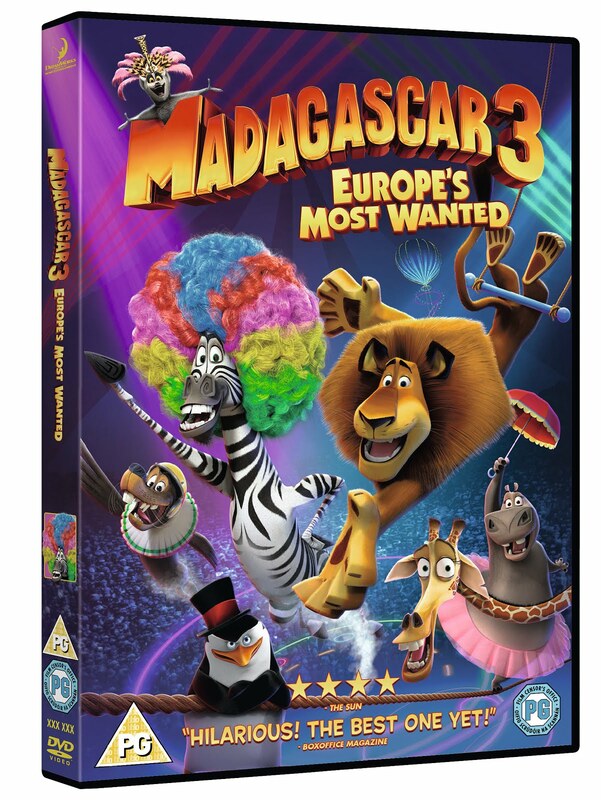 Madagascar 3: Europe's Most Wanted sees Alex the lion and his friends travel through Monte Carlo's casinos, into London and then finally back home to Central Park Zoo in New York. It is the conclusion to the tale that I've been really looking forward to (the ending wasn't quite what I was expecting!). Madagascar 3 has some quite adult humour (I've never been sure that Julian the Lemur is appropriately targeted at kids) but I really think it is the most enjoyable of the Madagascar movies in terms of all-round family fun. I was really pleasantly surprised because one of the reasons why we hadn't been to see it at the cinema was that I had read reviews which said the humour was too adult and the content lacking. I found the story to be fast and fun and the music features some popular tracks that you are bound to recognise. I would say it is the only one of the three movies that Lara has been fully engaged with through the whole feature. In the movie, the animals make new friends in a travelling circus that makes its way across Europe while all the while they are being chased by a group of French animal control officers (again, the humour here is a bit adult... the first time I watch it, I thought they were military). Lara and I both loved the big musical numbers and the circus scenes feature bright neon colours and disco moves. 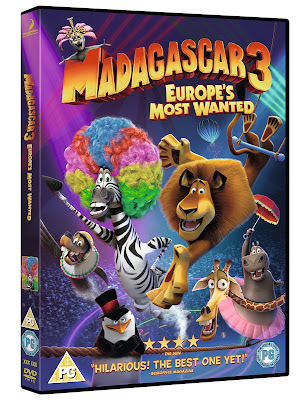 Madagascar 3: Europe's Most Wanted is available next week on DVD, Blu-Ray and Digital Copy (including Blu Ray 3D). There are lots of exclusive additional features. Sleep isn't something that Lara ever struggled with as a baby, but Holly is different. Only this week did we have our first ever undisturbed night's sleep. Until very recently, Holly refused a dummy so we used to struggle to send her off to sleep and would let her settle herself in our arms before transferring her into the cot. 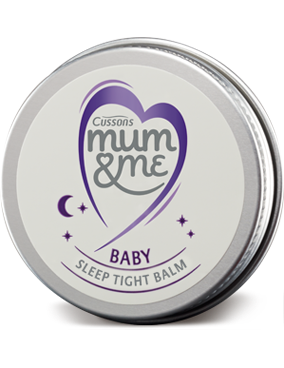 The Baby Sleep Tight Balm from Cussons Mum & Me is part of a range of baby products designed to help encourage a peaceful sleep and to become part of your baby;s bedtime routine. The Baby Sleep Tight Balm is a small 20ml tin of fragranced oil-based balm designed to be gently rubbed into your baby's temples before bedtime. The combination of oils and fragrances has been chosen to relax. It isn't really designed for all-body baby massage but is great for applying in very small amounts to the forehead, or to the wrists and ankles. Holly is always more mellow at bedtime when we have had chance for a little bit of massage but these days she is always on the move so we rarely find time, the Sleep Tight Balm is great because I only need to apply it quickly to a small number of places. I love the smell of it and in fact I've used it on myself more than I've used it on Holly!!! It is a gentle aromatic fragrance, based largely on chammomile. The oil of the balm is a mixture of olive oil and castor oil which are both great for baby's skin. Holly has been unwell for over half of the time we've spent using the Mum and Me balm so it has been hard to test its effectiveness as soothing her to sleep (snot and a sore throat are not conducive to a good night's sleep!) but I have already found that just the simple act of applying it is calming for both her and for me. Mum & Me Baby Sleep Tight Balm costs around. £3.49. At Christmas we gave Lara a Tag reading system from Leapfrog (Note: Leapfrog gave her this as a gift back in august as part of the Leapfrog Motherboard but we saved it until she was ready for it). Lara has been using the Tag Junior reading system for a year now but we felt that she was ready to move onto the main Tag system for slightly older children. Leapfrog's Tag system works as a hand-held 'pen' device that your child passes over the words and pictures on the page of a book. At present, Lara is not quite reading (although she can do letter sounds, she hasn't yet worked out how to string them together). The Tag system is perfect for her now because she understands that words and sentences mean something, she just needs someone to read for her and sometimes she would rather that it wasn't me or Daddy that helped her. The Tag system gives her some independence. Once or twice I have left Lara in her bedroom to 'read' before going to bed if she is playing up and the act of sitting quietly on her own with a book has calmed her down enough for bedtime. We bought Lara a number of Tag books for Christmas to accompany the reader. Most of the Tag books are themed with various popular characters - many of them Disney. Lara's favourite books are usually ones with lots of puzzles in them. To me, this is the thing that makes the Tag books stand out... anyone could read a story book with Lara but the Tag books are more than just stories. Lots of the pages in the books feature quizzes or activities that allow your child to interact with the book. In many cases these are observational questions to make sure they've been paying attention to the story and sometimes they require your child to reference back to previous pages. Lara also owns one book which is entirely made of puzzles that practice maths and letters skills. There are awards and rewards to be gained by doing well in the quizzes. As with most Leapfrog toys, you can connect the Tag reader up to the computer to see your child's Learning path. You can download activity sheets for some of the books and see the rewards your child has earned. I love watching Lara interact with her books. I don't think the Tag reader will teach her to read but it is certainly cementing her love of books and extending her imagination as well as ensuring she continues to recognise words and their relationships. As she gets a little older, I'm excited to see how she adapts her use of the Tag reader and I'm looking forward to trying out some of the other products for the reader including some of the non-fiction books including an atlas and a book on the solar system.